The difference is like that between night and day. 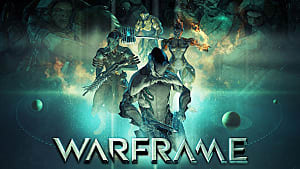 This cliche phrase is the foundation of Equinox, the new character added to Warfame. 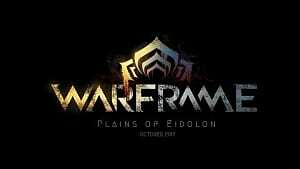 I have been playing Warframe for a great deal of time. It's been a while since I seen a legitmately new frame. 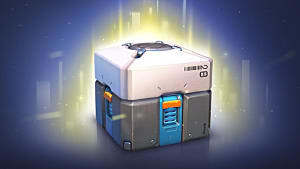 So when I heard Equinox was coming out, I could not help but act like a kid alone in the video game store. 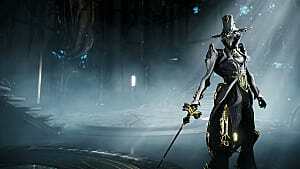 The part that got me hyped up about Equinox is that she brings a new element to Warframe. Complete transformation. Some of the previous frames have a small transformation, but nothing this huge. Rhino, for example, gains an armor that makes him more indestructible than a tank. 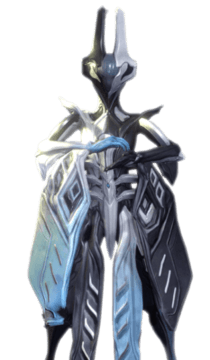 Equinox can transform into either 'Day' form or 'Night' form. 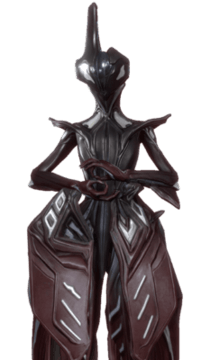 Each form has its own set of abilities, so that Equinox has a total of eight different kinds of abilities and buffs. 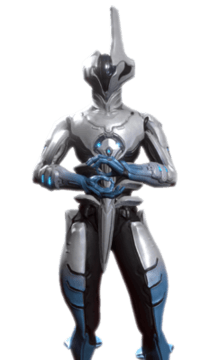 Here we have Equinox in its day form. Cool, right? 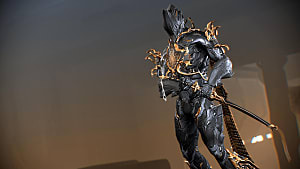 It looks like Equinox gains a lot more armor and looks far more tanky than it did in its original state. Ironically enough though, this tank-looking form is actually an attack and speed form. The Day form seems to deal entirely in attack and speed manipulation, which is useful when you are on your own, or don't care about your team at all. I often find myself in Day form, because it's the damage-dealer between the two forms. And because I could care less about who I'm with - why should I? I got my own problems with surviving to deal with. 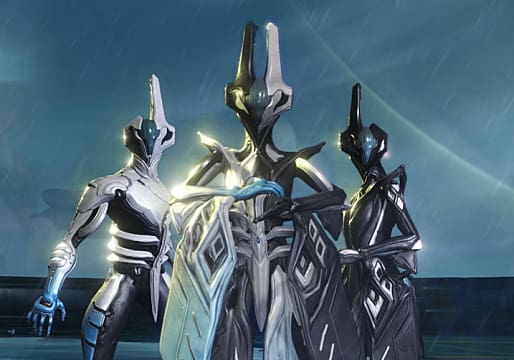 Day form can be considered a hybrid between a team support and attack frame. All of her abilties are about dealing more damage, manipulating stats so you can really bring the pain. 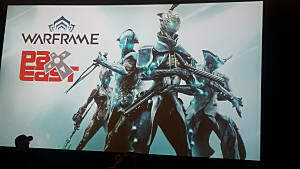 You can increase the damage enemies take, as well as increasing the Power Damage of your fellow frames. The second power Rage increases the enemy's movement speed, but also makes them more vulnerable to damage. Basically you turn them into a moron that is more susceptible to die by your hands. If you intend to be more of a solo player, then you might find yourself in Day form more often than Night form. Here is the counterpart of Day form, Night form. Night form's appears thinner and looks like it would be the faster of the two. But appearances can be deceiving, and it's tankier of the two forms. Upon changing into Night form, you gain an armor and shield bonus. 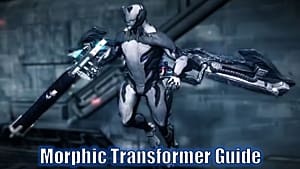 When all enemies point their guns at you for looking at them funny, switch to Night form. Despite the fact that I think Night form looks so much cooler than Day form, I rarely get to use this form. That is because this lovely little frame is a complete team survivability support type frame. Not often do I get to play with people who care about my well-being. All of her abilties are suited for helping out the team and keeping them alive. Night form's abilities range from damage reduction to restoration. A support frame through and through, she has no attack abilities. This can be troublesome because, when you get swarmed by enemies, you're basically screwed. You could put them to sleep with the Rest ability, but its AOE is terrible. So it's more useful to use on special enemies with high defense. If you want to dominately play as Night form, make sure you are playing with a team who at leasts cares enough if you live or die. 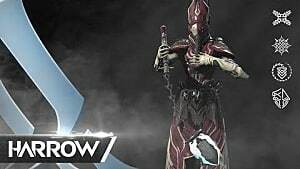 Equinox is a very unique frame in the world of Warframe. She allows us to decide if we want to help our teammates, or ignore them and focus on enemies. Her range of different buffs and abilities allow a player to adapt to ever-changing circumstances during gameplay. It's great in terms of support and attack if you give it the right equipment and mods. 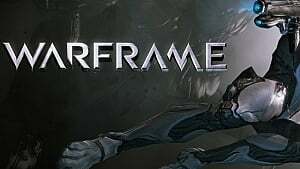 Though she may not be as powerful as the other frames, but she is certainly just as deadly.